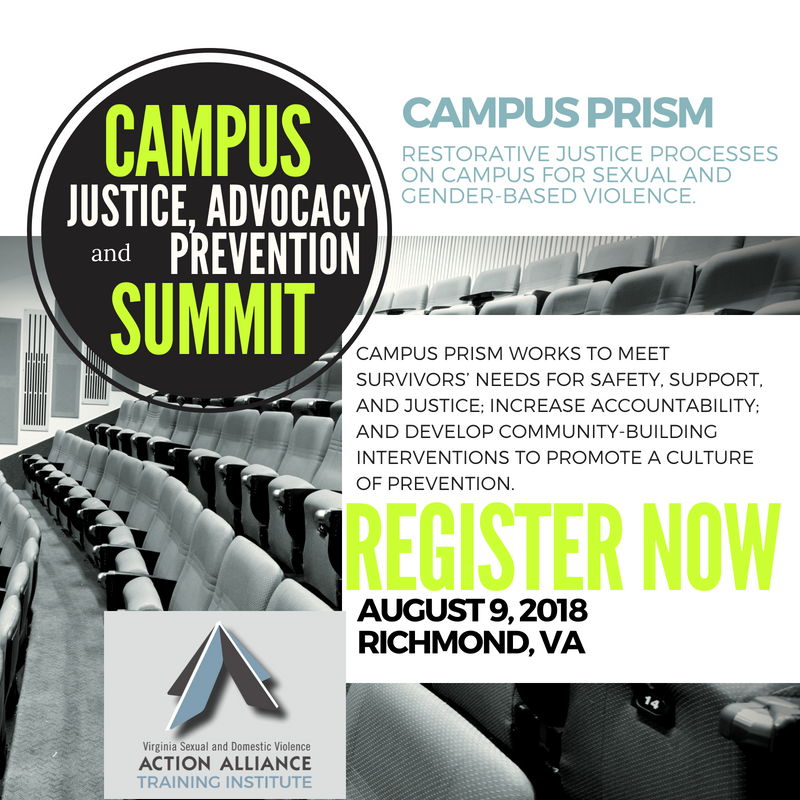 Join us for our 2018 Campus Summit! Description: The Skidmore College Project on Restorative Justice, or Campus PRISM, uses a restorative justice approach to address the problem of sexual and gender-based misconduct on college campuses. Restorative justice (RJ) encompasses a range of processes, programs, practices, and policies as well as a philosophical perspective that offers a new approach to meet survivors’ needs for safety, support, and justice; increase accountability; and develop community-building interventions to promote a culture of prevention. Join us to learn about the variety of restorative applications in higher education, facilitated by Toni McMurphy. 2100 Libbie Lake E. St.